I outgrew this cape before I was even born! Don’t panic! I am not sick! 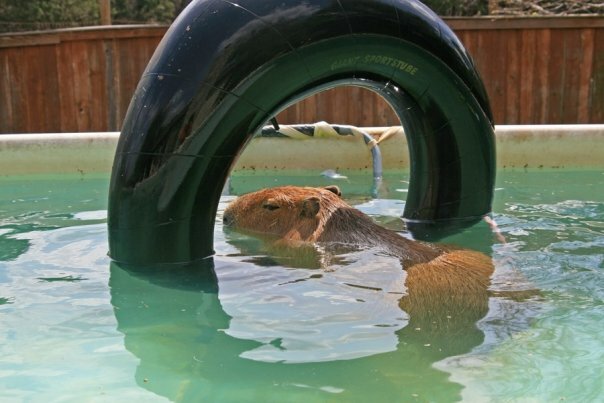 I am going as part of my duties as Capybara Ambassador. It is part of the Vet School’s annual open house. I will be there from around 11:00 – 3:00, or maybe 12:00 to 4:00, depending on how hard it is to get my harness on that day. I hope I am in a good mood because it is going to be a long drive. There will other animals there too, like kangaroos and birds and dogs and cats and whatnot. 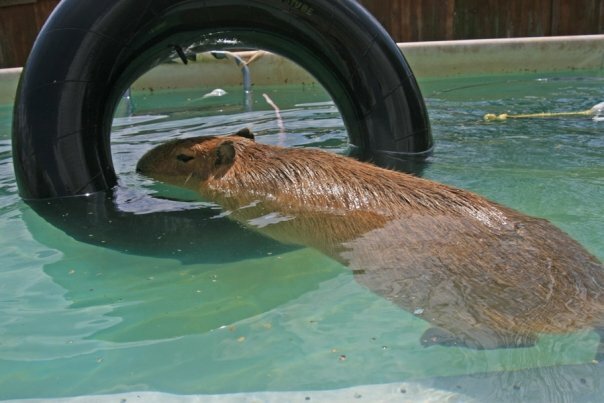 The real Super Capy will be there too and Melly will even have some for sale, along with her book, Celeste and the Giant Hamster. 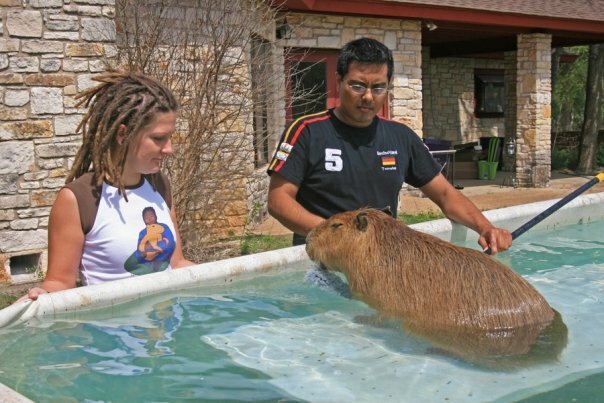 As a special added bonus, Stacy Winnick, my best capy-friend Dobby Winnick’s owner, will be there. 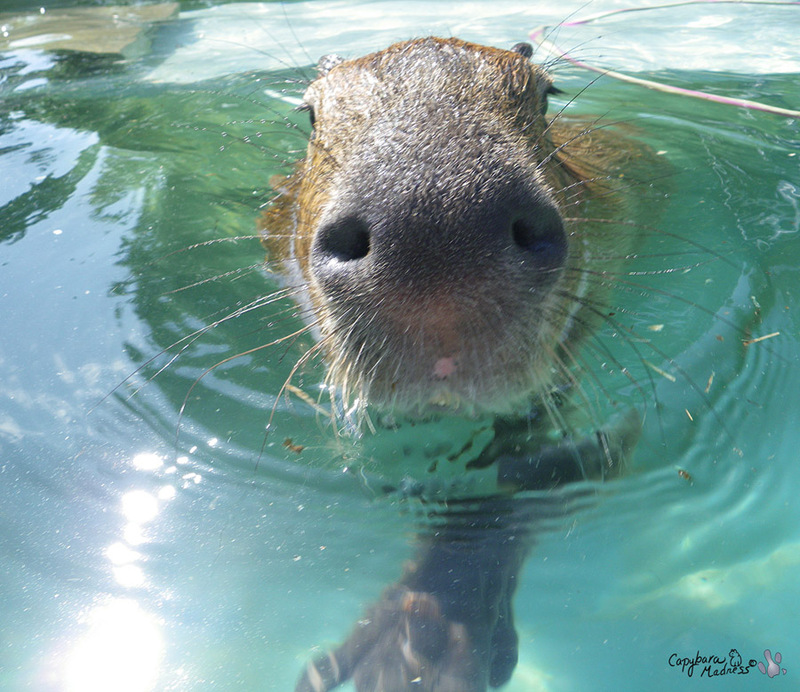 Special people may be allowed to kiss my nose…or Stacy’s if they’d rather. If you come to visit with me, Melly & Stacy, make sure you let us know that you read the blog! And everyone who visits with us gets one of my new fancy-schmancy business cards. Each card has 1 of 50 photos of me so make sure you pick out one you really like. Leave a comment if you’re coming! In any case, take the poll on the right sidebar. I so wish I did not live so far away..I would love to meet you and the ladies too. It is too bad that Dobby can not come too..I guess he would have an accident in the galley on the plane though. 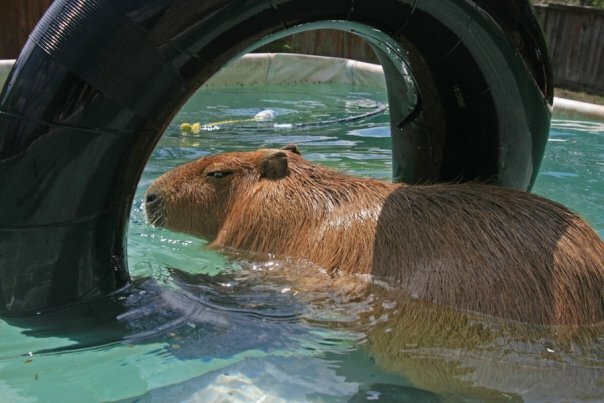 That would really cause a “stink” in the capy world. I can not wait to see the blogs…give a big hello to everyone for me an so sorry I will miss the big event. 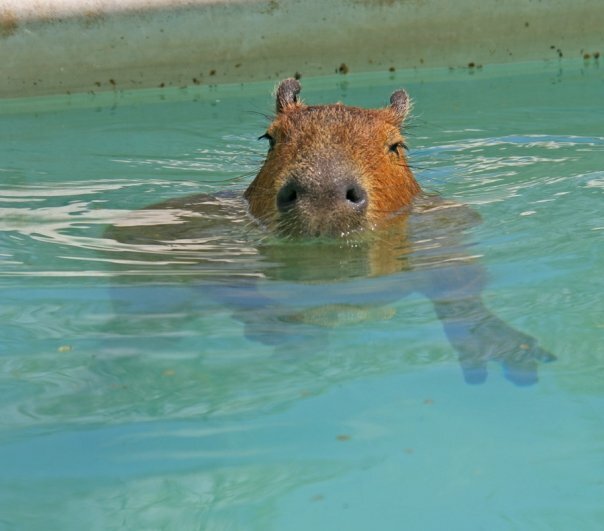 I just recently learned of capybara’s existence, & I’m so infatuated! They are wonderful & adorable. 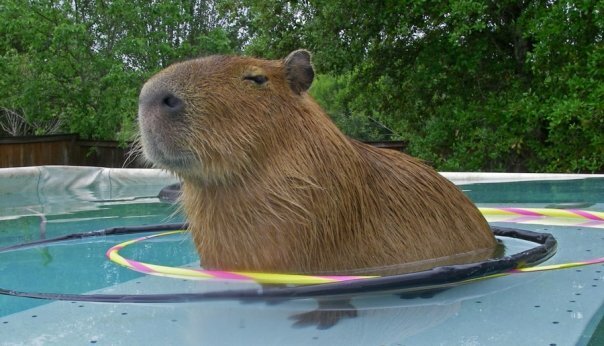 My family & I are doing research, and are seriously discussing the possibility of my becoming the ecstatic owner of a capybara. Is there anything I should know? Take lots of photos! I’m a few states away from you so I can’t make it. But I’d so love to meet you one day. Have fun! 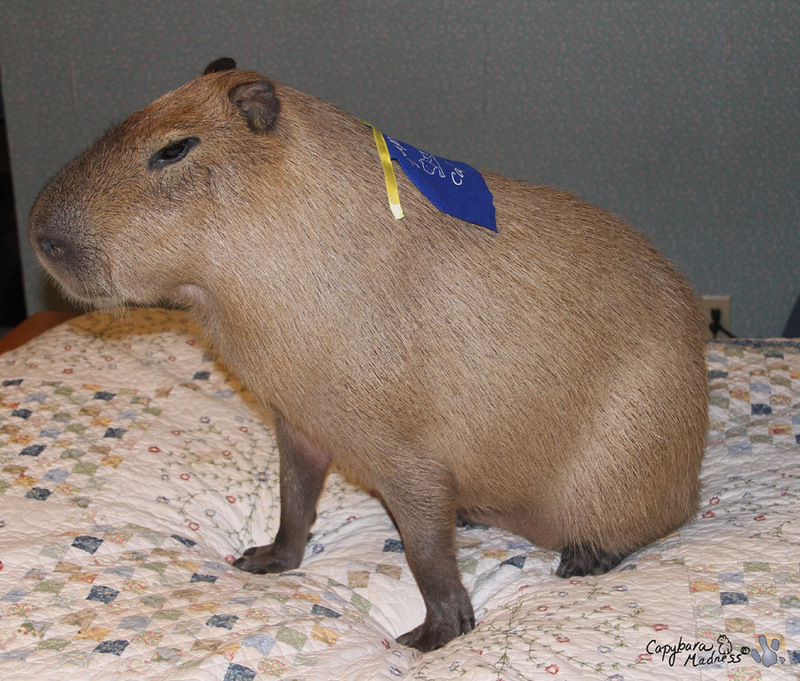 plush SUPER CAPYs for me ? Because I want to have a “TINY GARI” for me! Please let me now the prize via E-mail! an interesting stay at Texas A&M !!! I would so love to meet you! But I live in New Hampshire. 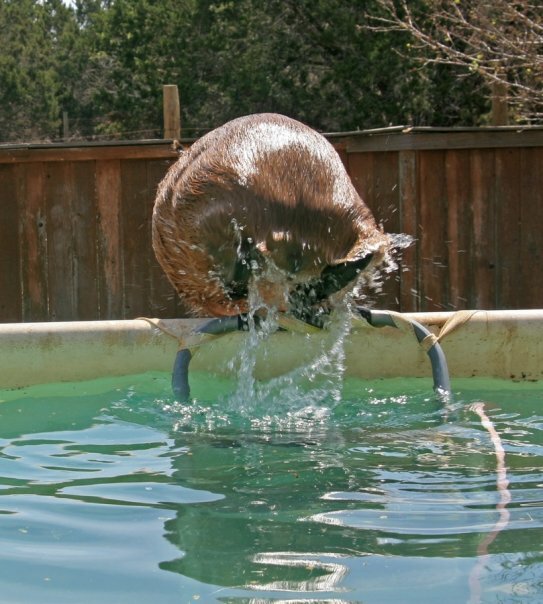 Maybe some time I will be visiting Texas and can plan to come visit you? 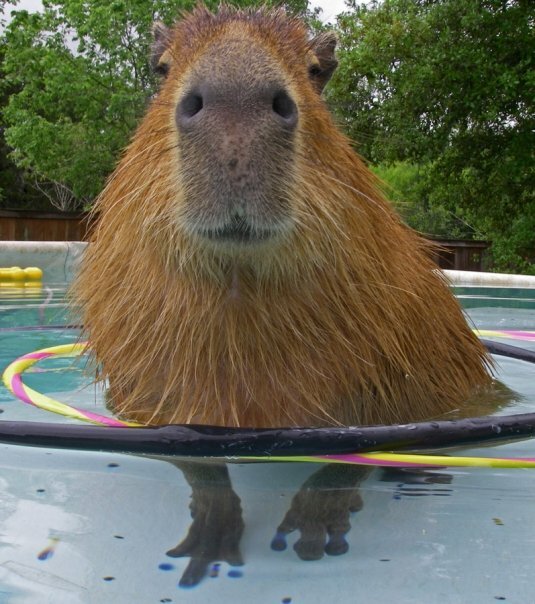 I met one of your relatives many, many years ago at a wild game farm in Florida. I took his picture and have been totally fascinated since. I think you are wonderful. Can’t wait to read about all of this on the blog. I can’t wait to meet Gari!!!!!!!!!!!!!!!!!!!!!!! !